Move over handbags and shoes, mummas got herself a brand new changing bag, but not any changing bag, oh no! This is the ever so stylish Sophia Croc by BabyBeau. Since Max has developed from baby to toddler there’s kind of no need for a Mary Poppins style changing bag. I need something that is fashion forward, stylish, durable and sophisticated and this bag most certainly has those qualities. 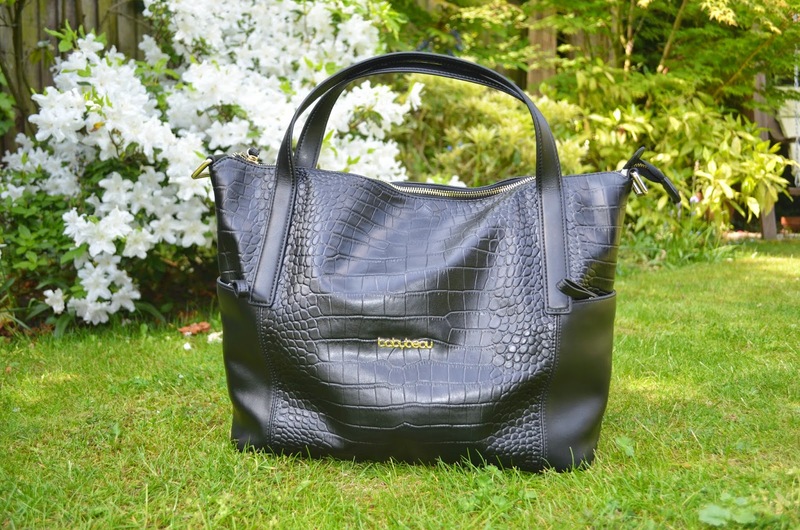 Made from real soft black leather the Sophia Croc is practical and stylish making it easy to occupany any outfit choice I may go with. It also comes with a gorgeous leather bottle holder, a mini detachable pouch for my valuable items (iPhone, cards etc) and the handy leatherette changing mat organiser I blogged about a few months ago. It also has gold hardware and a gorgeous monochrome interior which is always a winner for me keeping the bag chic and on trend. 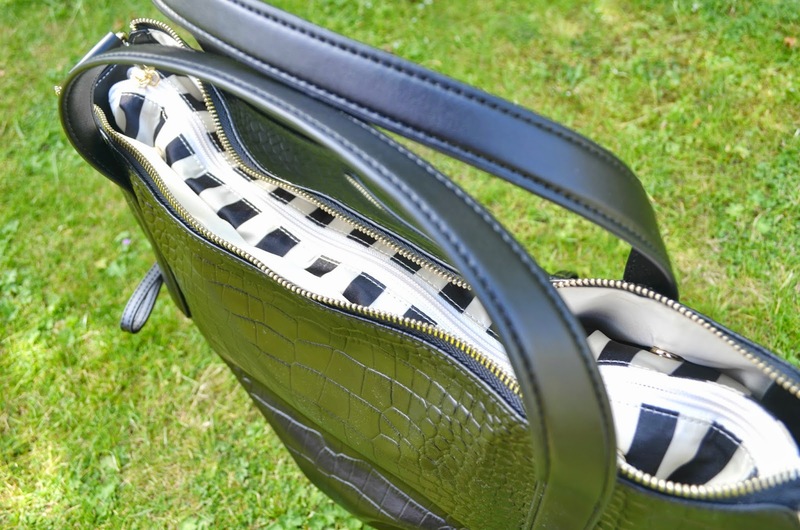 The Sophia Croc has plenty of compartments which is perfect for keeping all of Max and I’s bits organised. I then find there’s no need to have to scramble around my bag trying to find what we need when we’re out and about. 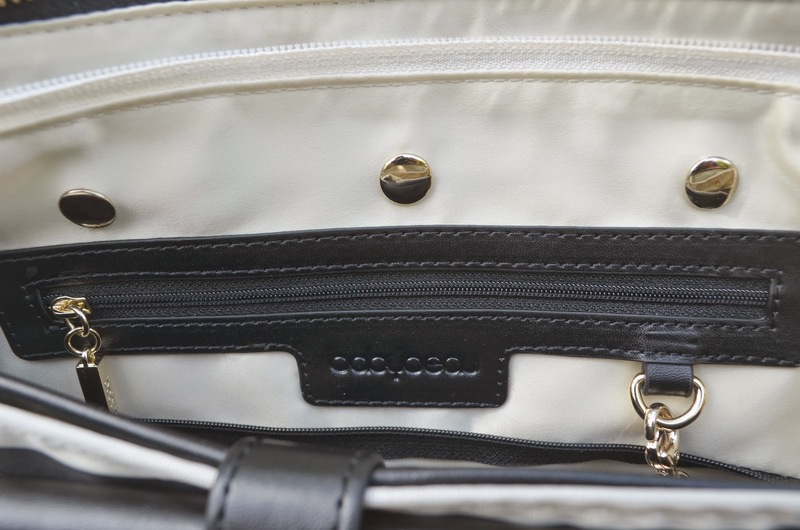 What separates this changing bag from any other is the removable water resistant organiser. I tend to use the removable organiser for all of Max’s stuff. When I drop him off at the creche I remove the organiser from the bag and the creche staff have all of his bits for the duration of his stay. 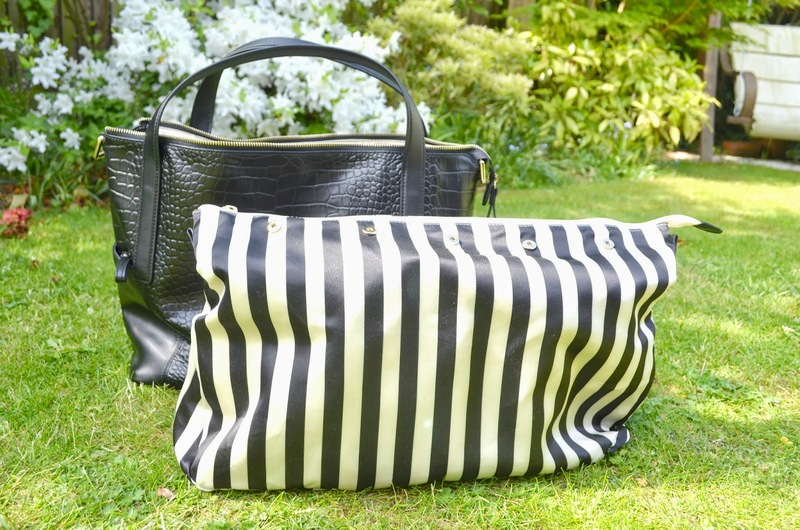 I then have my very own stylish luxury handbag that knowone would ever know is really a changing bag! 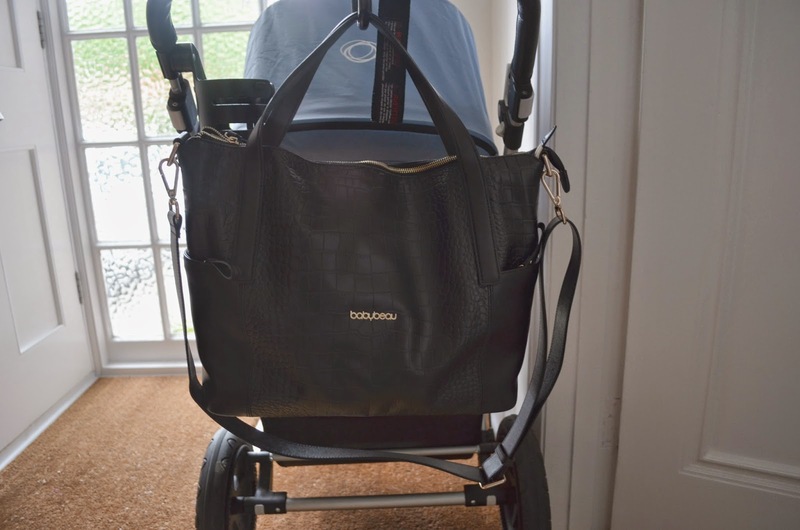 Hanging from my Bugaboo I tend to use the small handle and if I need to wear the Sophia Croc whilst pushing the pram I use the wide shoulder strap across my body, which I have to say is super comfortable. 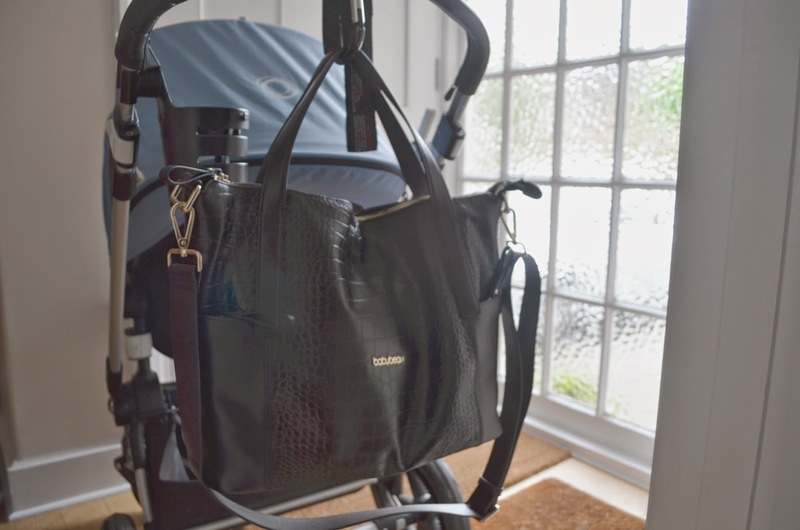 I absolutely love the way the Sophia Croc and by Bugaboo look together, it feels amazing walking down the street knowing I’m adding a touch of glamour to my everyday mummy and baby activities. 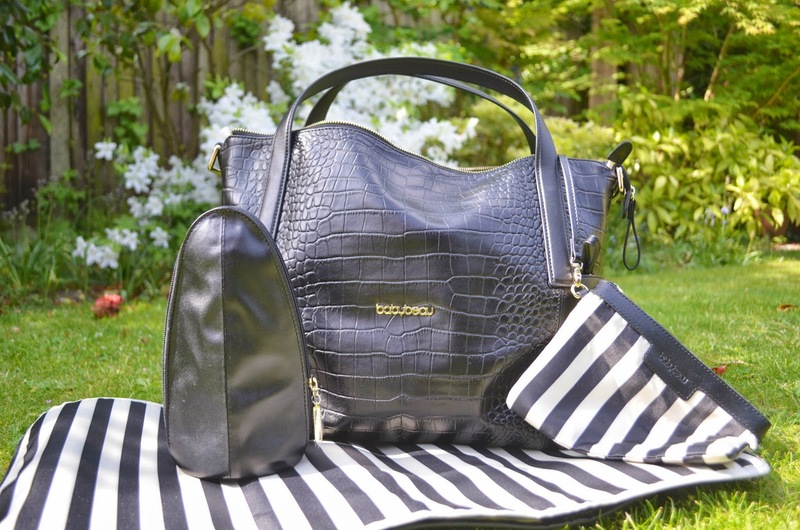 If you’re looking at investing in a long lasting, stylish, and versatile changing bag then look no further than the Baby Beau Sophia Croc, you really won’t be disappointed. The Sophia Croc costs £189 and is available from BabyBeau. 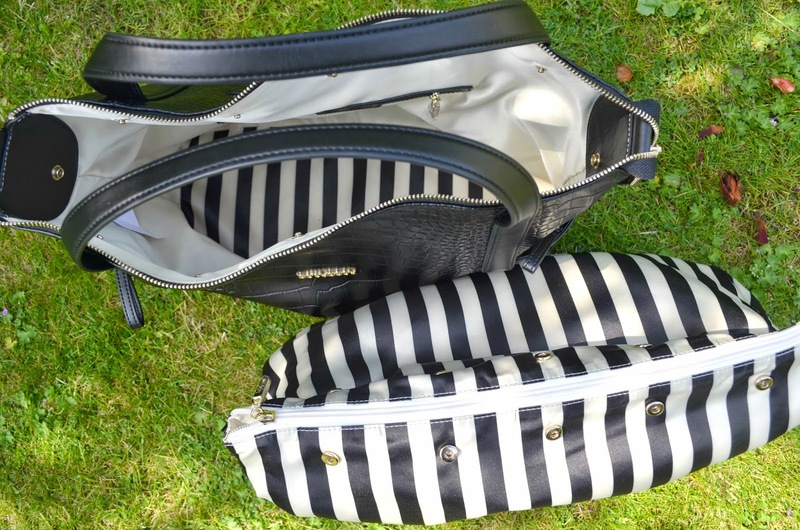 If you’re interested in purchasing a BabyBeau changing bag you’re in luck as I have a special code for you to use where you can receive £10 off your purchase. Use the code BEAUTYB&M10.